05 September 2018 – The acquisition of lifeboat solution provider Norsafe is another boost for VIKING’s worldwide capabilities, ensuring a unique and unmatched product and service offering in the maritime safety industry. Maritime safety equipment manufacturer and global service provider VIKING Life-Saving Equipment A/S has announced it has acquired Norsafe, the Norwegian boatbuilder whose lifeboats are used throughout the world. The acquisition is in line with VIKING’s long-running strategy of putting the customer’s needs and priorities first. 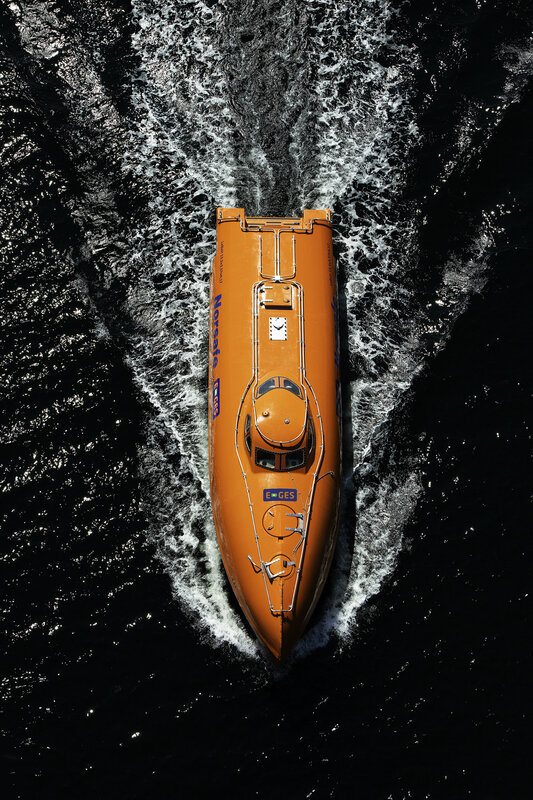 Established in 1903, Norsafe produces a full range of free-fall lifeboats and fast rescue boats with davits and have supplied over 28,000 lifeboats to the global ship market over the years. Its advanced lifeboat products are manufactured in accordance with the latest SOLAS requirements and approved by national and certifying authorities for both ships and offshore use. VIKING consistently puts the customer first, ensuring the company’s products and services are a close fit to the market and the acquisition is yet another step forward for thousands of VIKING customers around the world, who now stand to benefit from the world’s most complete range of lifeboat, hook and davit products. And it is the strongest signal to date that VIKING is firmly committed to provide a complete safety offering that also includes the best range of lifeboat products and services – a focus that initially saw VIKING acquire the company behind the innovative and now widely installed Nadiro lifeboat Drop-in-Ball™ hook, now known as VIKING Nadiro. The synergies behind Norsafe’s entry into the VIKING group are plain to see, and not just because both companies are Scandinavian-based. In fact, they share virtually identical missions, both aiming to keep people safe and leading their respective markets through constant innovation. 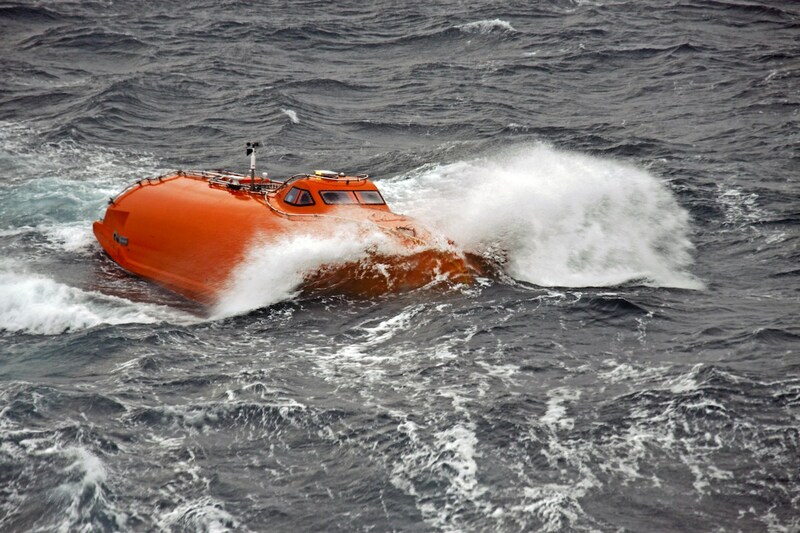 With the Norwegian manufacturer’s 24/7 service network providing lifeboat maintenance from over 300 ports worldwide, the Norsafe acquisition adds further fuel to VIKING’s focus on answering new demands for full-scope solutions by providing the world’s most comprehensive safety solutions, encompassing everything from products and services – including long termShipowner Agreements – to design, installation and training. And VIKING expects new efficiencies to be won not just from integrating the two companies’ product lines and widening customer choice, but also from leveraging complementary supply chain and production capabilities. The parties have agreed not to disclose the sales price, and closing is expected October 1, 2018. VIKING Life-Saving Equipment is a global market leader in maritime and offshore safety, providing and servicing safety and fire-fighting equipment for passenger and cargo ships, offshore installations, fishing vessels, the navy, fire departments and leisure yachts. VIKING is a privately held corporation founded in 1960 with group headquarters in Denmark. Products are manufactured in Denmark, Norway, Bulgaria and Thailand. VIKING offers a broad range of high-quality safety products and systems as well as tailored safety solutions certified in accordance with the latest IMO, SOLAS, EU and USCG requirements. The VIKING product range includes chute and slide-based marine and offshore evacuation systems, liferafts, lifejackets, immersion suits, fire suits, work suits, aviation safety gear, life- and rescue boats, hooks, davits, firefighting equipment, pyrotechnics and other lifesaving appliances. VIKING Shipowner and Offshore Safety Agreements are uniquely customizable concepts incorporating safety products, global servicing, exchange, single-source management, and financing in a variety of fixed price structures. With 2,000 dedicated employees and a network comprising 73 branches, 261 certified servicing stations, multiple agents and stock points worldwide, VIKING is a truly global provider of safety solutions in all significant markets and locations. Norsafe is a market leader in the offshore industry and has developed solutions that define the standard for offshore free-fall lifeboat systems. The company offers an extensive product portfolio for offshore applications including a ground-breaking range of electrical free-fall lifeboats. Since 1903, Norsafe has produced more than 28,000 lifeboats and uses its expertise in safety at sea to offer the widest range of conventional and freefall lifeboats, fast rescue boats and davits in the market today. All of Norsafe’s products comply with SOLAS and industry regulations. Norsafe is focused on providing reliability in case of emergency and keeping LSA fully operational throughout its lifetime. Its global service network of 45 service partners is spread across all continents and operates from over 300 ports worldwide, providing 24/7 service throughout the entire lifetime of the equipment. This ensures operational safety and readiness at all times, and compliance with the latest industry regulations. Norsafe is also passionate about crew training, offering a wide range of courses through Norsafe Academy training centres in Rosendal, Norway and Port of Lavrion, Greece. Norsafe is headquartered in Arendal, Norway and has manufacturing facilities in Norway, China and Greece. The group has sales/service offices in China, Greece, Mexico, Singapore, South Korea, USA, Japan, Brazil, Australia, the Netherlands, the United Arab Emirates and UK.